Craig Davies is pushing hard. Jason Brown finds it tough. Jack Collison wants to be Hammer for life. Keeping ball away from Gareth Bale is the only way to stop him. Bellamy: I'd pay to watch Wales play. Darlow no to a Wales call-up. Collison insists he's not the new King. Jason Brown admits he could have stayed. Game 1: Wales v Moldova. Jake Cassidy stay at Wolverhampton Wanderers. Owain Fon Williams happy to wait for Wales debut. Tottenham warn Real Madrid: You won't be able to afford Gareth Bale. 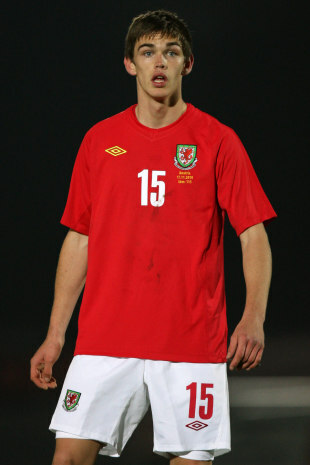 Unpredictable new boy Craig Davies. Wales (1) 2 Austria (0) 1. A 2-1 win for Wales against Austria at the Liberty Stadium. 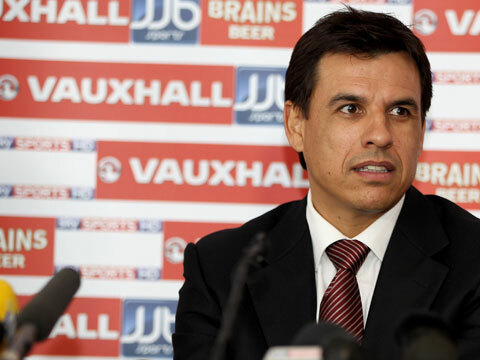 Goals in either half from Gareth Bale and Sam Vokes earned Chris Coleman's side the win. Three late goals in the last 11 minutes from Wes Burns, Jonathan Williams and Robert Ogleby earned Geraint Williams' new look Under 21 a victory against Finland. The Under 21s take on Iceland in an International Friendly on 6th February 2013. The squad was named by Intermediate Teams Manager, Geraint Williams. Defender Danny Alfei is injured and replaced by Aaron Oakley (Swindon Town). Joel Lynch has been withdrawn from the Wales squad to face Austria at Swansea on Wednesday. Lewis Price also out. James Wilson (Bristol City) called up. Geraint Williams has named the Under 17 squad to take on Finland. Craig Bellamy "back in love" with football says Chris Coleman. Coleman: Ashley Williams the best. Gareth Bale wants to emulate Ronaldo.